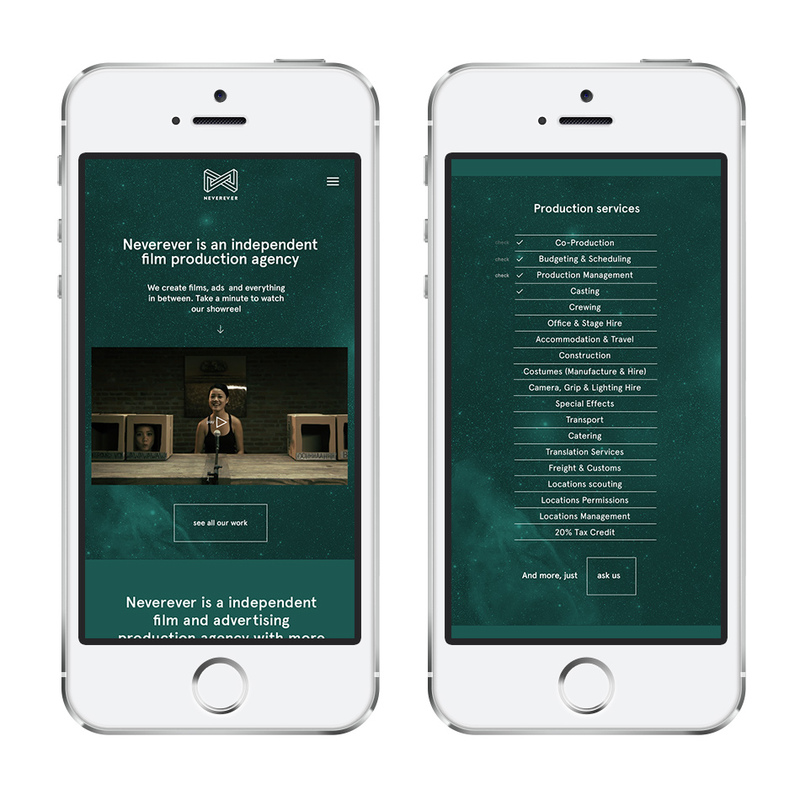 Neverever is an independent film and advertising production agency. Although the name might sound controversial at first and imply some negative connotations, the main idea behind it is "you will never find anything better. Ever". — The looping nature of the sound (never-ever). — Represents unity, togetherness, interlockedness. The chalenge while designing for Neverever was to express the positive aspects of the name, to create a visual twist and to say “always, forever” instead of “never”. The strongest symbol defining time is, of course, infinity, however the symbol itself is too simplistic, too general and asked for more depth to become a logo. Mobius strip is a mathematical experiment - a ribbon with only one side, famously displayed with an ant marching along the ribbon twisted into an infinity sign. The picture of the ant on a Mobius strip gave me an idea of transforming the infinity sign into an impossible shape. Impossible shapes are, as I’m sure you know, optical illusions, geometric objects that couldn’t exist in the conventional 3d world, however the idea of this shape existing albeit on the paper (or screen) is perfect to express one of the main values of the brand - nothing is impossible. I rotated and combined all the symbols in my head for a while before finally siting down to put it all on canvas. an infinity sign twisted into möbius strip transformed into an impossible shape. Although neither of those symbols were originaly invented by me, I am very satisfied on how they merge together and deliver various layers of meaning. And what's even more important, the client was happy with it.